Dr. Ben Talei, a dual board certified facial plastic surgeon is the preeminent physician in lip enhancement surgery in the Beverly Hills area. These face and neck plastic surgery procedures can help to correct thinning lips and tiny vertical lines that appear with age or simply add volume to those born with thinner lips. Many of Dr. Talei’s procedures are actually performed in order to repair mistakes made during other surgeries or procedures. At the Beverly Hills Center for Plastic & Laser Surgery, Dr. Talei can add or reduce the volume of your lips in any number of ways while simultaneously giving definition and character with the most natural results. The lip lift is a procedure modified by Dr. Talei. It is very commonly used to shorten the vertical height of the upper lip, improve definition of the lip and Cupid’s bow and cause slight eversion of the lip, giving a more appealing appearance. This procedure is extremely successful in patients demonstrating lengthening of the upper lip with age. More recently, as upper lips are being over-injected, the lip lift has also become very useful to lighten the appearance of an over-injected, heavy appearing lip. An additional benefit and common reason patients seek this procedure, is to increase central and/or lateral tooth show if the lip is covering too much of the upper teeth. This procedure is easily done under local anesthesia without any pain at all. See the Before & After Gallery for examples of this procedure. Whether performed in combination with a facelift or performed alone, a patient’s own natural tissues can be used to very naturally and predictably add volume to the upper and lower lip. This type of grafting, when performed by a skilled surgeon, can also help change the shape of the lip in specific desired areas. The result obtained is much more natural and reliable than that of a free fat injection. This surgery can easily be done without general anesthesia. A number of implants are available that provide the desired volume for your lip. The most commonly used and time-tested implants are those made of silicone. This differs from a silicone injection. This is because the implant is placed as a single piece and avoids the problems reported in the past with silicone injections. This procedure, using hidden internal incisions has several benefits to patients. The V-Y lip advancement for lip augmentation increases the parameters that characterize the fullness of the upper lip and enhances the vermilion “pout” and projection of the upper and lower lip. It also increases the curvature of a Cupid’s bow. It has also been used quite successfully in patients with too much tooth show or a “gummy” smile. This is in order to improve coverage of the teeth for a more pleasant appearance. Being a facial specialist, Dr. Talei is quite busy with lip revision surgery. These procedures vary in complexity. They are performed to repair issues caused by prior surgeries or injections. The most common lip revisions seen in his practice include revisions of issues caused by silicone or fat injections and repair of surgeries which ruined the definition of the lips. If your body has had a reaction to previously injected materials or the injections have moved or are now oddly protruding, Dr. Talei can easily correct your lips to improve the symmetry and volume, giving you more naturally formed lips. Asymmetry is a very common complaint that may occur naturally, or in most cases, is a result of prior lip manipulation. Nearly all these procedures are completely painless and performed under local anesthesia. Cleft lips and palates vary in their appearance, ranging from subtle deformities to complete openings in the lip and palate. Both can be devastating to a child’s development if not treated in a timely manner. Dr. Talei is a specialist in cleft lip and palate surgery. He regularly travels on surgical missions to other countries to teach other surgeons proper methods of repair and to help those in need. Cleft lip revision surgery is performed commonly to help repair defects remaining from surgeries performed in childhood. Scars, clefts and depressions are amongst the most common and are easily treated. Dr. Talei is a specialist in reconstruction of cancer defects of the face. Amongst all cancer defects in the body, those on the face are the most difficult to repair, and they can cause significant functional impairment if not properly treated. Dr. Talei is known not only for his artistic ability and surgical technique, but for the speed and ease in which these defects can be repaired. The Beverly Hills Center for Plastic & Laser Surgery has an open-door policy with Mohs defects referred to the practice from other providers. The majority of these procedures are performed under local anesthesia and can be scheduled to be performed almost immediately, in most cases. 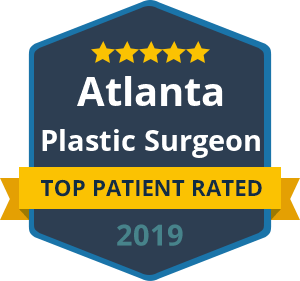 Dr. Talei also commonly treats patients whom have had prior Mohs reconstruction but are in need of revision surgery to improve cosmetics and function. Dr. Talei is committed to offering his patients surgical procedures to meet their needs, with completely natural, unnoticed results. Dr. Talei has a unique skill-set as well as an artistic eye and delicate hand you want in surgery. Because each face is different, lip enhancement or revision surgery should be too. Dr. Talei’s surgical approach is tailored for each patient to satisfy his or her requests with completely natural, long-lasting results. Contact our lip enhancement surgery specialists at the Beverly Hills Center for Plastic & Laser Surgery today to schedule a consultation. We look forward to hearing from you.